The next three conference halls, also with theater configuration of seats, can admit 30 people each. On request they can be equipped with all technical supplies for any kind of small business events. 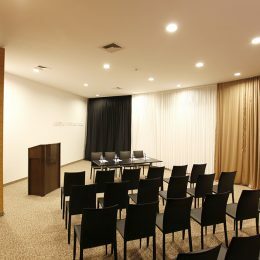 The convenient location of small meeting rooms allows you to work in groups within the frames of one conference or seminar. 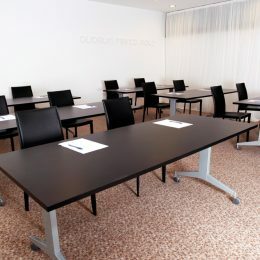 "Gudauri Marco Polo" also has a medium meeting room, which can admit 25 to 30 people. The room is equipped with all kind of necessary amenities. 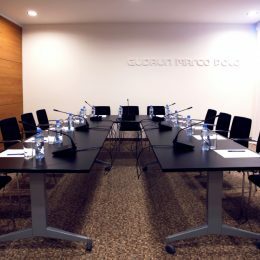 The medium conference hall with the same configuration of seats and a maximum capacity of 55 people can be equipped with additional inventory and include a wide range of services for conferences at "Gudauri Marco Polo”. 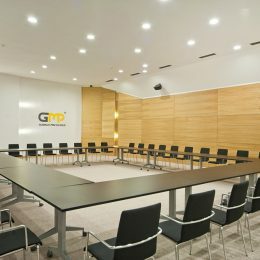 Presence of one large conference room with the theater seating configuration allows for conducting business events with a maximum capacity of 120 people.